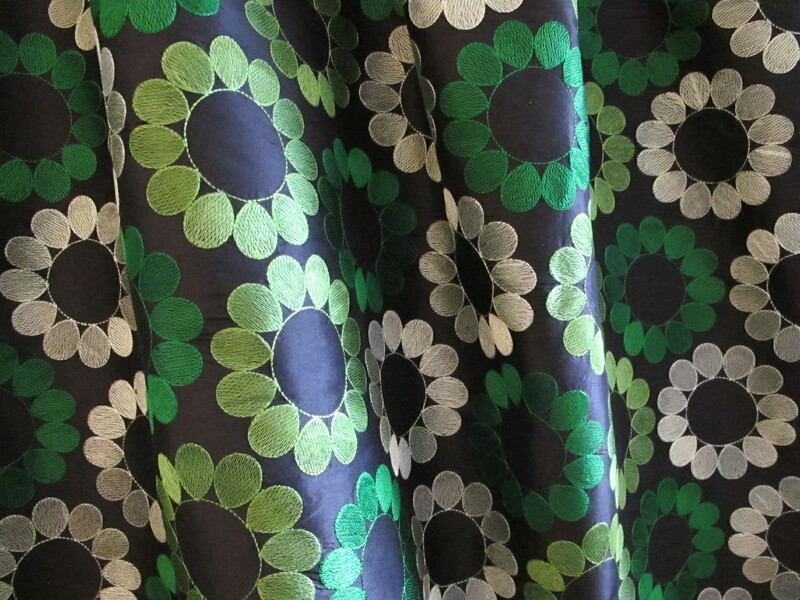 A profusion of embroidered green blooms adorns this high-quality dupion silk. This fabric was an exclusive fabric from one of the mills that used to produce some of the best embroidered textiles out of Rajasthan. The decline of high-value textiles in India, as elsewhere, is quite a sad story. So many skills and capabilities are being lost. But, many lovelies like this special silk are still sought after and one can only hope some demand remain. 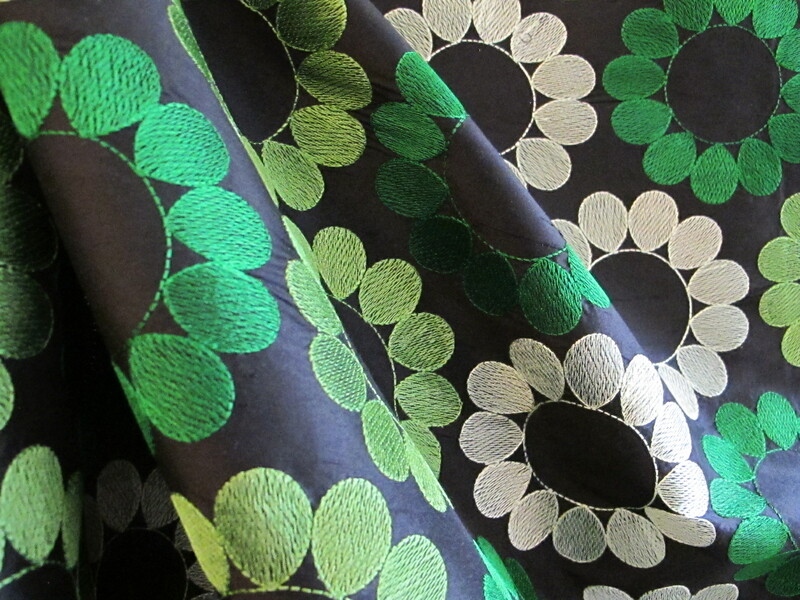 True to the fabric type, this silk dupion is a tightly woven and substantial silk. Looking closely, you wouldn’t know it is a dupion as the weave is so fine. The fabric is firmer, meaning that you could sculpt it into all sorts of interesting forms. Or keep it incredibly simple. I showed this Miranda Kerr image before, but this fabric would look rather brilliant in a skirt like this (maybe a little bit modified in the bell effect) with a simple pull-on top. I took so many photos of this fabric! I have to post lots as I can’t choose! I did imagine both a skirt and a dress when I spotted this fabric, calling out to me from the opposite end of the room as it did. 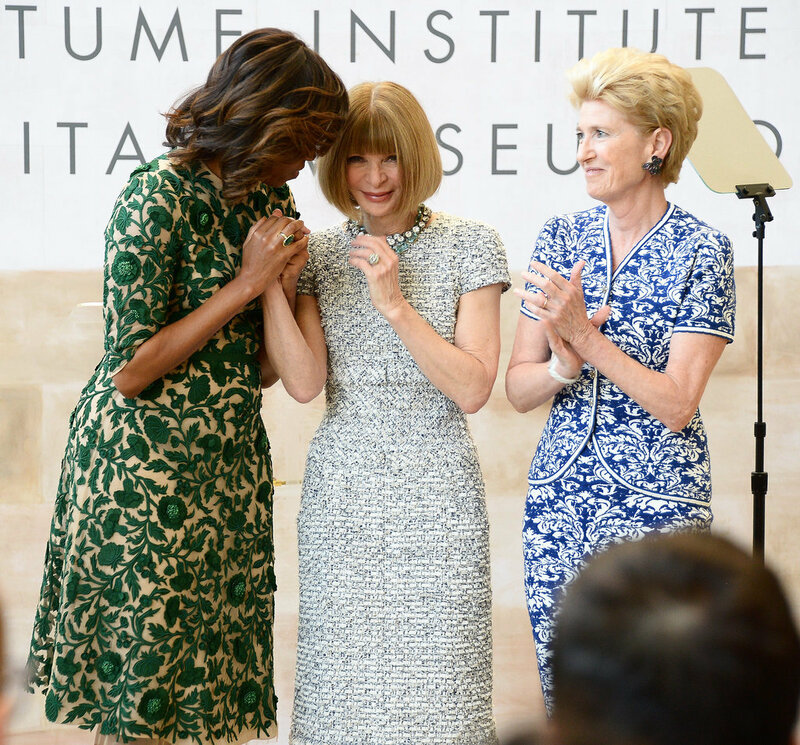 And when I think of dresses, I always think of Anna Wintour. Is there any woman in the world with as many dresses as her I wonder? She has perfected the art of the dress. I would probably take inspiration from her collection when thinking of the right dress for this fabric. Or the first lady? Her green dress looks pretty good, a lovely simple classic style. 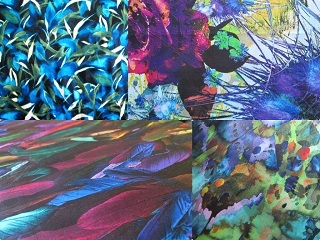 This fabric is 140cm wide. I actually have two lengths of this one. One piece is 1.5 metres, and the other is 1 metre. The silk was in the 60’s$$. 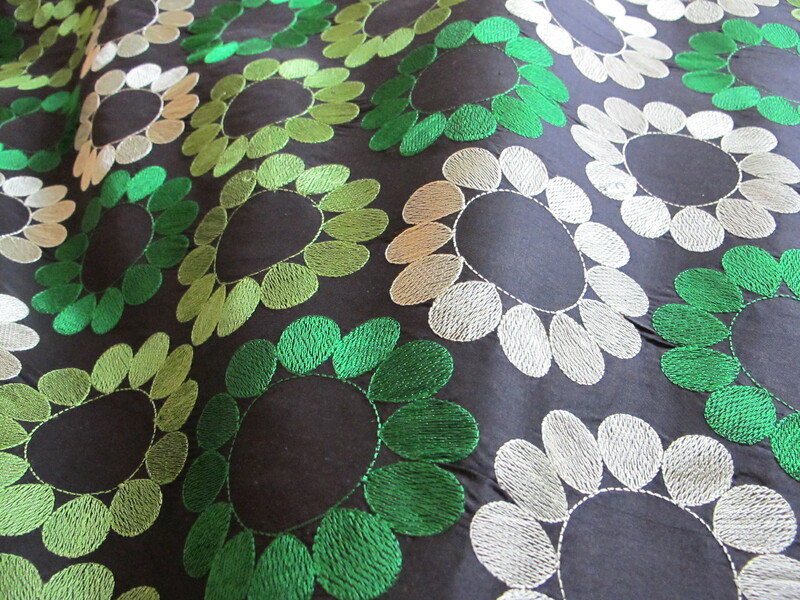 Similar embroidered silk dupion fabrics are priced right up into the $125 price range. 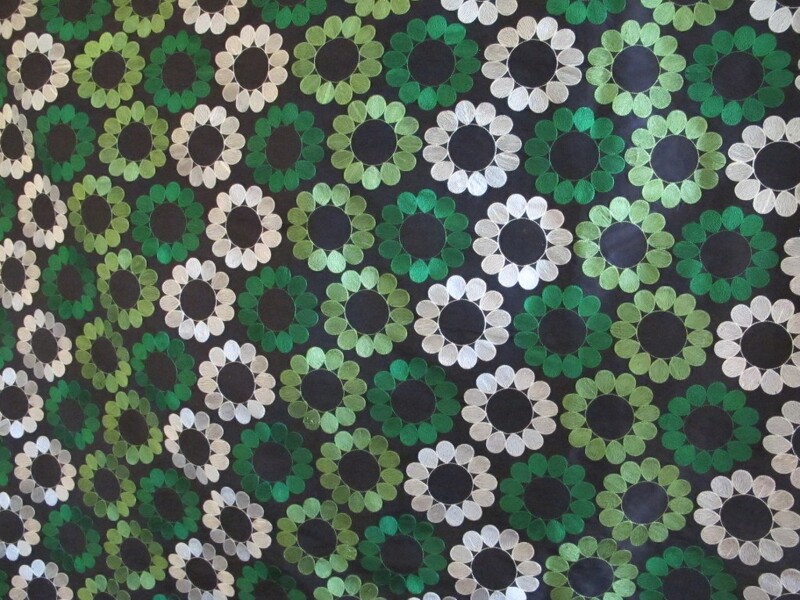 In the interests of keeping the fabrics moving along, I will drop the price right down and offer it at $47 a metre. I will be able to post the individual pieces in small satchels priced at $8.25 each. If someone wanted both, the medium satchel at $13.40 would be needed. Please see here for full details on payment and posting. If interested, please click on the email link below; fabric details will appear automatically and I will get back to you asap. (Australia delivery only thanks).